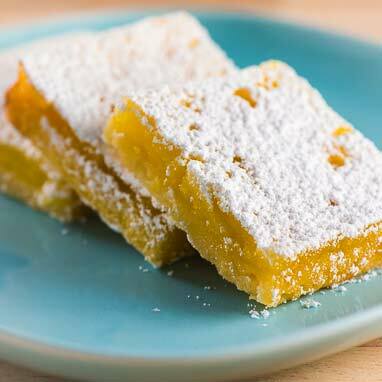 Nothing says summer like lemon bars, which is a little odd since lemons are a winter fruit. Eating one of these lovely little bars is like drinking a refreshing glass of lemonade. The sweet, tangy filling is supported by a crispy shortbread crust. Dust with powdered sugar before serving and you’ve got a dessert that looks lovely and tastes even better.